Green Chile Cheddar Burger Foil Packs. 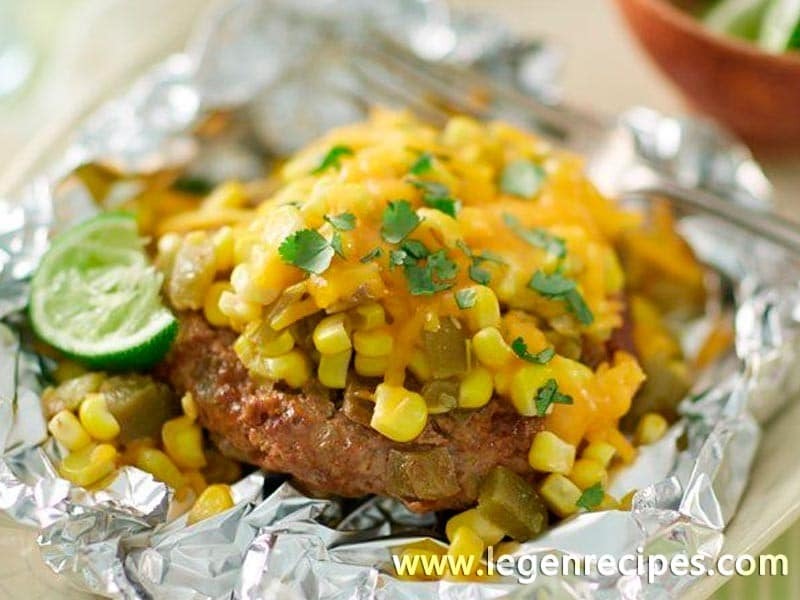 Reimagine burgers on the grill with this flavorful dinner that brings together classic cheeseburgers, a zip of green chiles and craveable corn salsa. Heat gas or charcoal grill. Cut 4 (18×12-inch) sheets of heavy duty foil. Spray with cooking spray. 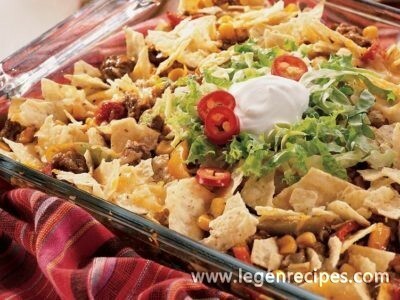 In medium bowl, mix beef, 1 can green chiles, chili powder, 1 teaspoon of the cumin, 3/4 teaspoon of the salt and 1 cup of the cheese until blended. Form into 4 patties about 1/2-inch thick. 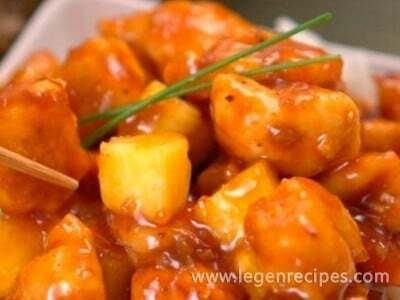 In small bowl, mix corn, remaining can of green chiles, remaining 1/2 teaspoon cumin and remaining 1/4 teaspoon salt. Place beef patty on center of each sheet of foil. Scoop about 1/3 cup of corn mixture on top of each patty. Place packs on grill over medium heat. Cover grill; cook 8 minutes. Rotate packs 1/2 turn; cook 7 to 9 minutes longer or until patties are no longer pink in center and meat thermometer inserted in center of patties reads 160°F. Remove packs from grill. Cut large X across top of each pack. Carefully fold back foil. 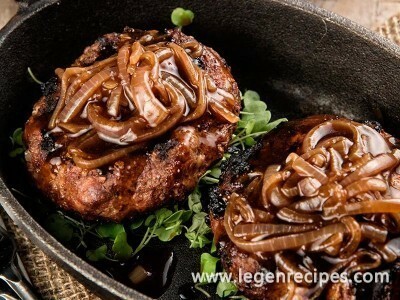 Top each patty with 2 tablespoons cheese; garnish with cilantro and a lime wedge.